You are here: Home / Natural Fine Planetary Talismans / Fully Natural and Non-Nucleated Pearls to deliver the Jyotish benefits of the calm and powerful planet that rules the mind and soul urge – Moon! Fully Natural and Non-Nucleated Pearls to deliver the Jyotish benefits of the calm and powerful planet that rules the mind and soul urge – Moon! Natural Pearls are rare and not easily available. Often Nucleated Pearls are passed off as the real thing, and these do have absolutely no astrological benefits. A Natural Pearl is formed when a microscopic irritant gets lodged in the Oyster and to protect itself from this irritant, the Oyster secretes Nacre in concentric growth circles and over years it becomes a Natural Pearl. To get a perfectly round shaped Pearl is an extreme rarity. Whereas in a Nucleated pearl, a small bead is artificially introduced into the Oyster, which also acts as an irritant and again to protect itself the Oyster secretes Nacre and within months it looks like a Pearl. 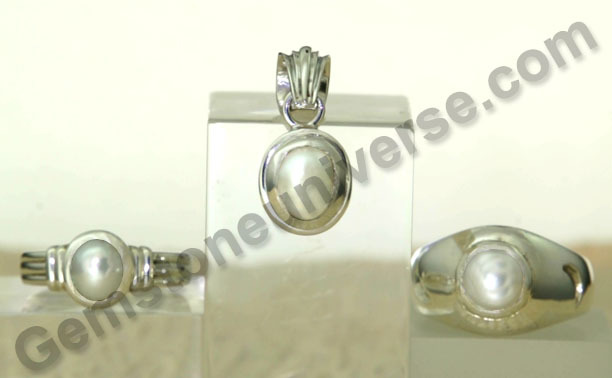 Even though it has Nacre, it is not all Nacre and because the bead which is introduced into the Oyster is round the Nucleated Pearl looks quite round. To protect yourself from falling prey to fake pearls click here! A Non-Nucleated fully Natural Pearl always comes with an X-ray and radiography report. This is not only mandatory but also the law. So if your Pearl has not come with these mandatory reports then the likelihood of it being Natural is non-existent. 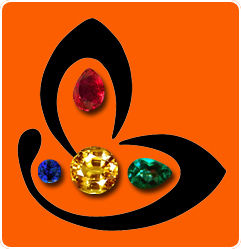 To benefit from the ancient science of astrology and gemology, make sure that the gems that you are wearing are fully natural and neither the appearance or color have been improved as any treatment to a gemstone renders it useless for Jyotish purposes. Any lab created gemstone, or artificially created gemstone is just a piece of stone and not a gemstone!